Full crystal review - save your money! 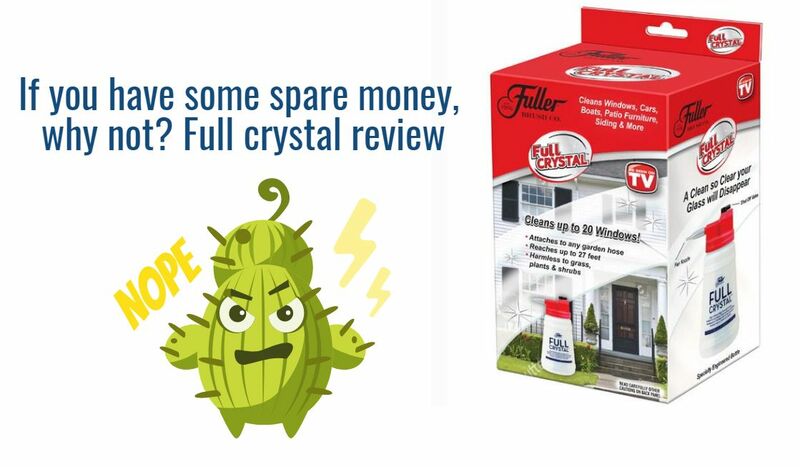 Today we are posting a very small review, just a few words about full crystal window cleaner. Let me mention that all the text written is my personal opinion and I’m not obtruding my opinions, I’m just saying what I think in this respect. I’m sure you’ve seen its advertisement on TV? Full crystal window and all purpose cleaner is a multi-purpose cleaning system for windows, cars, boats, patio furniture and more. You see smiling people washing windows on the 2nd floor, they aren’t using double ladder and they look completely happy after purchasing Full crystal. The commercial promises that Full crystal is the easiest and the fastest way to wash windows. I never write any product reviews, if I’m not sure that they are really useful and helpful. I don’t want to advertise something I don’t trust, but this is a special case. My friend purchased this Full crystal and this is why I decided to write the review. I would never buy such a thing. He is a nice guy, though a bit lazy. It’s not that he cared much about how clean his windows are, but it was Friday, he saw the commercial, the product was cheap. So why not? Well, now he has another thing of naught in his household. We’ve got used that usually commercials lie (luckily, it’s not always the case, you are welcome to read other reviews of mine), however, in this case it is true. 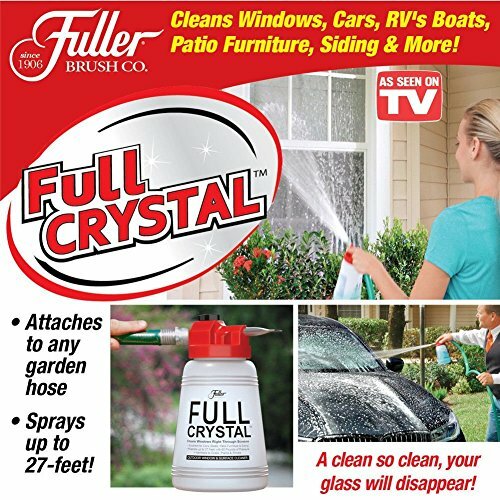 Full crystal is just a bottle with cleaning liquid that is connected to an irrigation hose. This is it. Full crystal efficiency is even less, than if you’d used just pure water from the hose. Because the hose diameter is larger than that of the bottle holes and correspondingly the water pressure is lower. You can block the running water with your finger, it will hardly ever reach windows on the 2nd floor! Although, I can’t say anything bad about chemical composition of Full crystal, still there is nothing special about it. The same is about Full crystal itself. My friend purchased it from some site, but now Full crystal is also sold on Amazon.com. 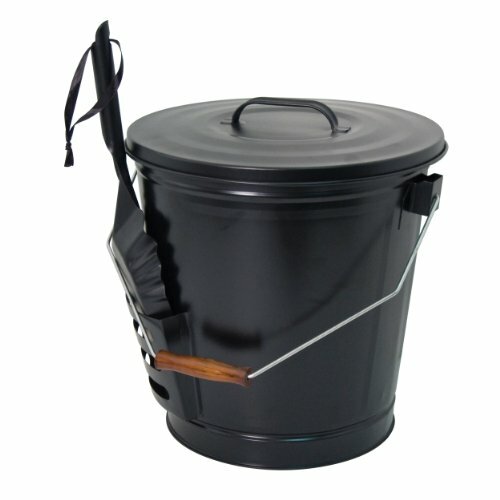 By the way, if you decide to try it, I’d advise buying the product on Amazone.com. Because there you’ll get two sets instead of one! Even if you don’t want it. And there is nothing you can change! Another thing is that some users complained about additional services they were forced to order. So, if you still need to wash your windows, I’d advice you to use this old and time-honored method and these tools. A sponge. It’d be good if it has one rough side. This way you will easily remover old stains and dirt. Window squeegee cleaner. 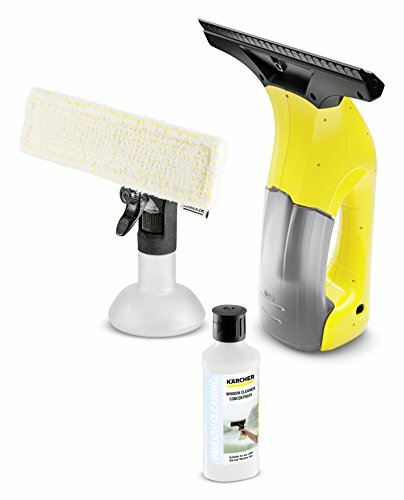 Due to this device you will not just get the idea of how to clean windows properly, you will also like the process. 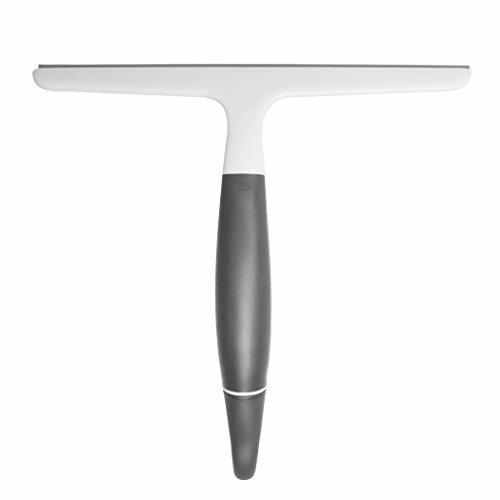 This cleaner may have a long handle, therefore you won’t have to climb on a chair or a windowsill. 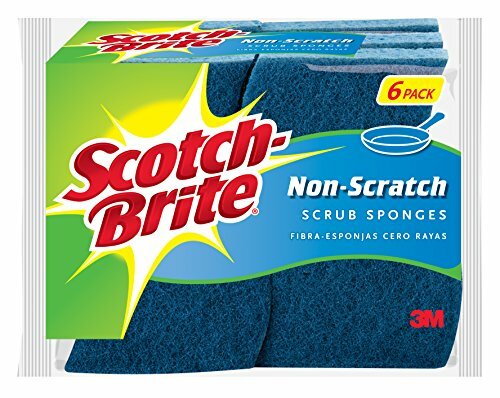 Models that are especially efficient have a sponge on one side and a rubber cleaning plate on the other side. The cleaning liquid. There are lots to choose from, but I advise yo use the proven. A piece of dry cloth. 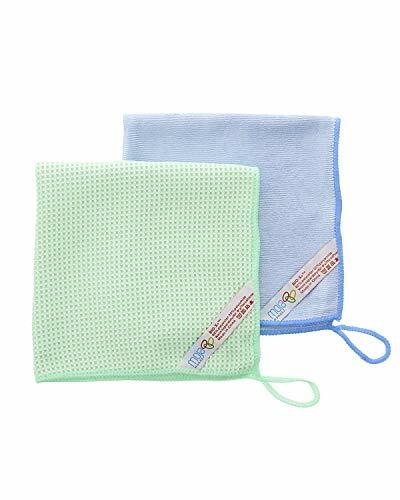 You can use cotton, suede, linen or nonwoven fabric. The main condition is that it should have good absorbing qualities. A bowl or a bucket. You’ll need any volume with water. First to dissolve the cleaning liquid in it and then to wash the windows with clean water. Wonder Bible – whether it is true, what you’ve seen on TV?